Dr Irma always knew she wanted to do something in the health profession and had a desire to help others. 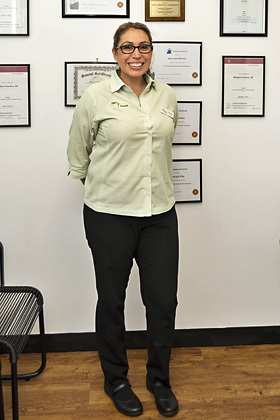 After completing her Bachelor of Biomedical Science from University of Brisbane, Dr Irma then pursued a master’s degree in chiropractic from Macquarie University. She quickly realised how much she loves her profession. Dr Irma, who has been practicing since 2006, furthers her education by attending seminars and always enjoys learning something new and different. She also has a particular passion for adjusting pregnant women. Chiropractic is not only about helping people in pain but about guiding them through various stages of their life. While Dr Irma is happy to help patients get out of pain, she also wants to talk about prevention versus “waiting for things to fall apart.” She is glad to provide nutrition and wellness advice and uses a variety of chiropractic techniques: Activator Methods®, Diversified, Drop Piece and Trigger Point. Learning more about Chiropractic BioPhysics® is also a top priority for Dr Irma. Providing patients with stretches and core strengthening exercises is another important piece of their health and wellness puzzle. Experience optimal health and wellness with natural chiropractic care. Contact us today to schedule an appointment with Dr Irma!